As an investor, you probably have three reasons to invest in a coin project’s ICOFirst, to make money off a good project for the best bargain price. Second, to support a good project you truly believe in. Third, just because you can. Unfortunately, the ICO became a notorious opportunity for scammers and fraudsters to swindle people’s money just after the ICO and during the project development. If you have never experienced ICO fraud, either you’re a really good investor or lucky enough escape one. Either way, kudos to you! To people who never participated in an ICO, stories of ICO fraud can be a cautionary tale. But we can’t deny that ICOs are still an important way for truly promising projects and teams to raise funds for technologies that can change the world. So how can we connect beginner and experienced investors with serious ICOs and protect and protect these investors’ interests? 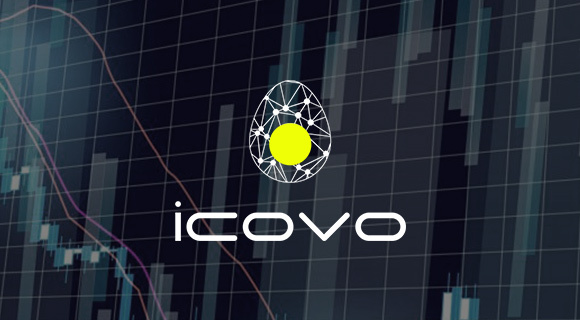 Just recently, we are honored and privileged to encounter ICOVO, a crypto project that does just that with their own user-friendly technology. – The power to see whether an ICO whitepaper is being edited or revised with or without your permission. – A wallet that enables you to connect with ICOs and use your power to vote. – Access to the ICO team’s reputation (KYC-AML). – Access to the activity situation of the ICO you invested in. Sounds good right? We think so too! They will be having their presale soon for private investors but you can sign up for their waitlist as well. Here are some important facts you need to know about ICOVO’s ICO. You can get news about ICOVO’s ICO here, including news about their first exchange listing on Bluebelt Exchange once their crowdsale is done! If you want to know more about ICOVO, subscribe to us here on Medium and/or go visit ICOVO’s website.